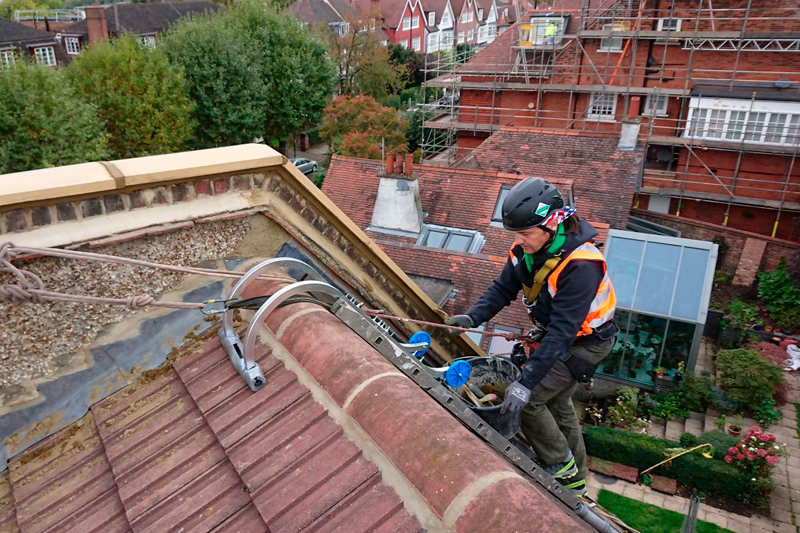 Large residential property in Finchley London. 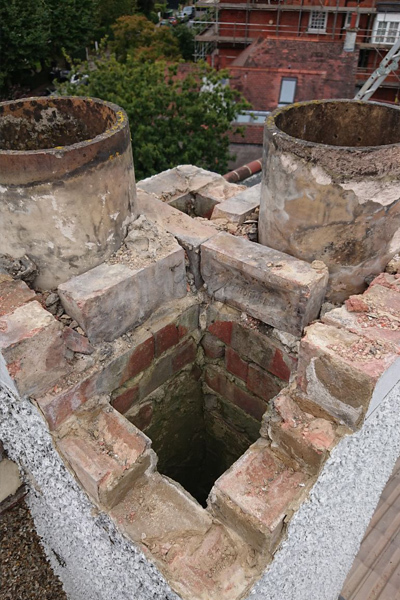 Complete restoration of roof, chimneys and skylights. 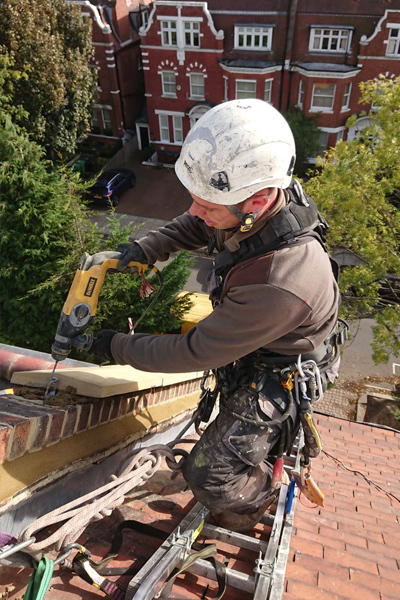 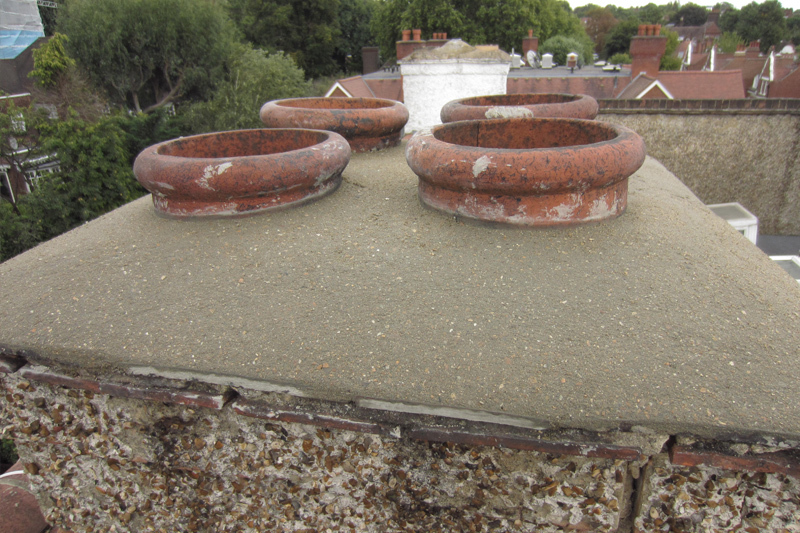 X6 chimneys were dismantled and repaired, removing asbestos pots safely and replacing with terracotta. 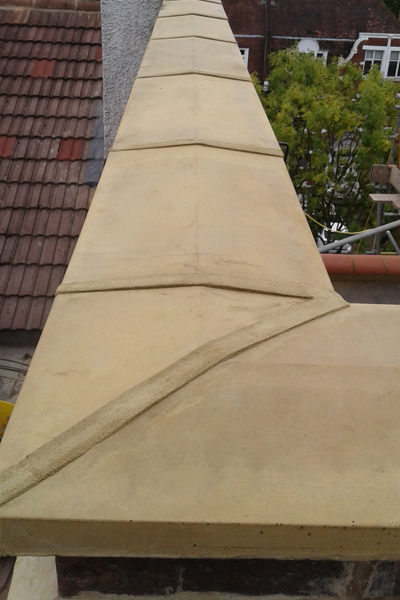 Coping stone install to all gable ends and general repointing, rendering, gutter works and skylight repairs.